Play Island Heat online for free now! Play Island Heat™, a five-reel slot featuring 30 win lines, and you’ll be whisked away to a stunning tropical island, where a mysterious beauty, ten winning symbols and a special flaming bonus symbol are waiting for you. The Tiki symbol lands you the biggest winnings! 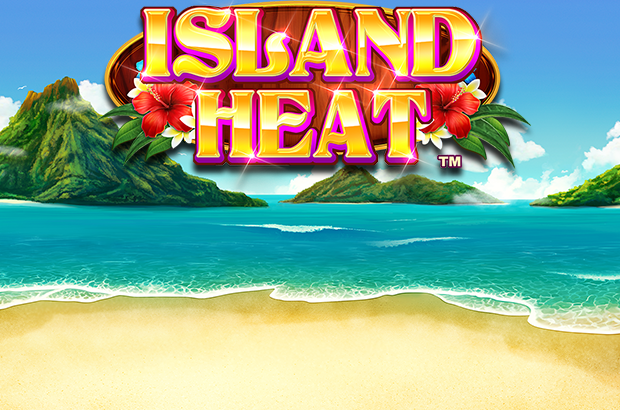 The aim of Island Heat™ is to get five matching symbols on one of up to 30 win lines that all run from left to right. As a Wild symbol, the Tiki symbol (stacked) can substitute for every other symbol with the exception of the Bonus symbol to increase your chances of winning. Moreover, before each spin in the regular game a symbol will be chosen at random as the MEGA STACKS symbol! As the name suggests, this symbol will then appear on the reels as a stacked symbol. The heat is really be cranked up when the Bonus symbol – the stacked Magic Flame – appears. Should you land between seven and nine Magic Flames on reels two, three or four, you’ll trigger 8, 16 and 32 Free Games respectively. The Free Games are played with the same stake and number of lines as your last regular game. Furthermore, the MEGA STACKS symbol can appear during the Free Games. Are you in need of a trip to a stunning tropical island? Then it’s time to spin the reels of Island Heat™! Not only will you be greeted by a mysterious beauty, but you’ll also have the chance to win big with a variety of winning symbols and the special Bonus symbol – the Magic Flame. With temperatures like these, you can lie back and bask in the sun, relax on the beach, and watch the Twists flow into your account. 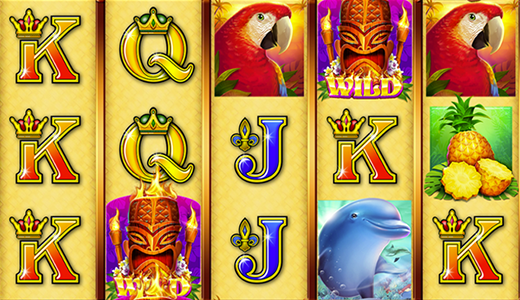 Alongside tropical symbols like the Dolphin, Bird and Pineapple, you can make the most of a variety of stacked symbols that will magically attract even more winnings for you to add to your account. So, have you already packed your bags?